I hope you’re having a wonderful weekend! I rather reluctantly dragged myself out of bed this morning, as I’ve had a cold this week and still feel very woolly headed as a result. However, I could see that the sun was shining, so decided to hit the local car boot fair. I’m so glad I did, as I found some very pretty things, which I’ve taken some quick snaps of to share with you now. 1) A collection of old chandelier pieces, from what was once a very large, grand chandelier. 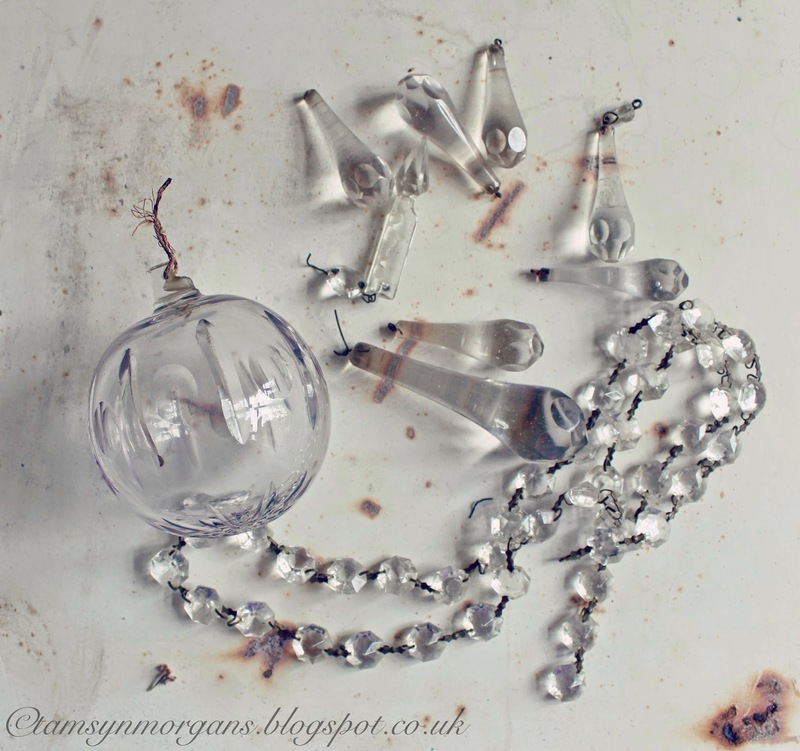 I love the big etched glass bauble. As you know, I can never resist things that sparkle. 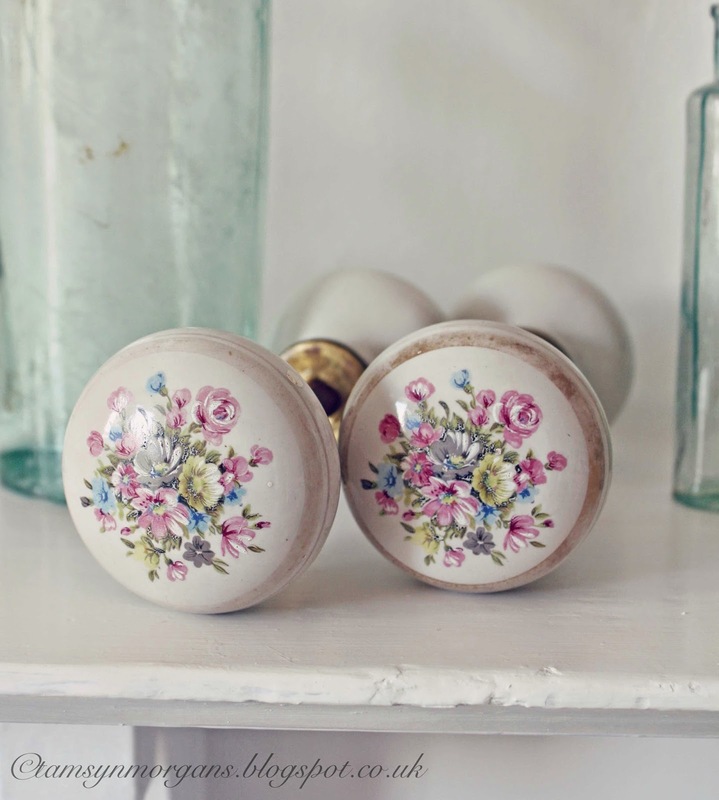 2) Pretty ceramic vintage door knobs. I suspect that they’re 1980’s, I love the floral design. Perfect for replacing some of the old brown door knobs I’ve got in my house. 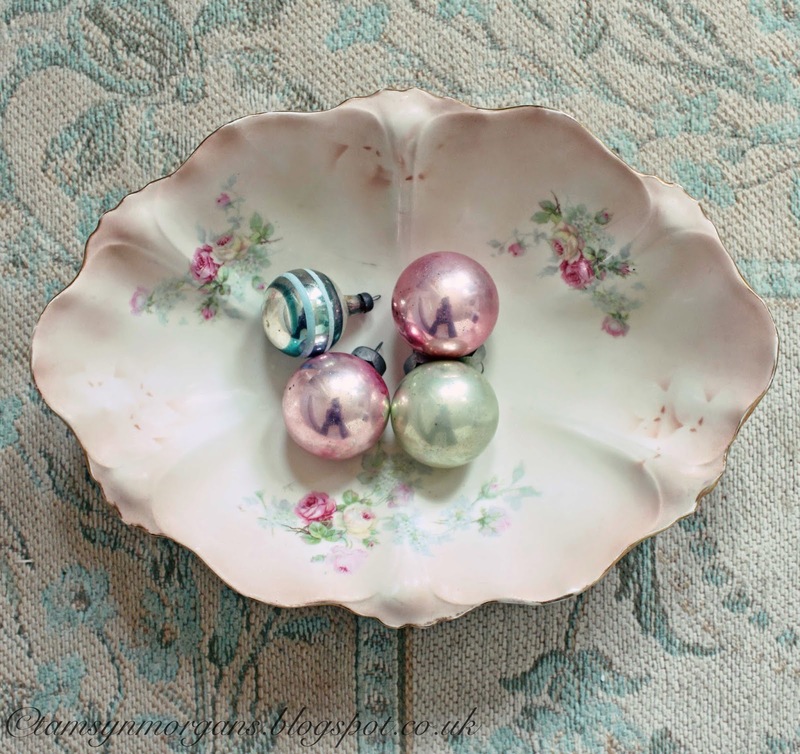 3) This bowl was too pretty to resist, with it’s soft pastel colours. 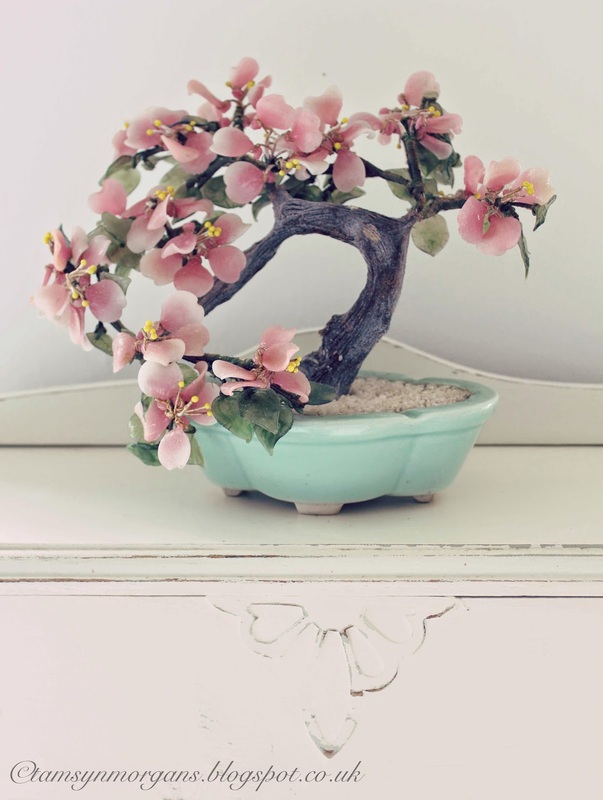 4) A glass bonsai tree, to go in my chintzy new bedroom (when it’s finished!). Adore the colours, and the fact that it’s so unfashionable right now! 5) Lovely mini dolly tub, which I shall use as a planter. 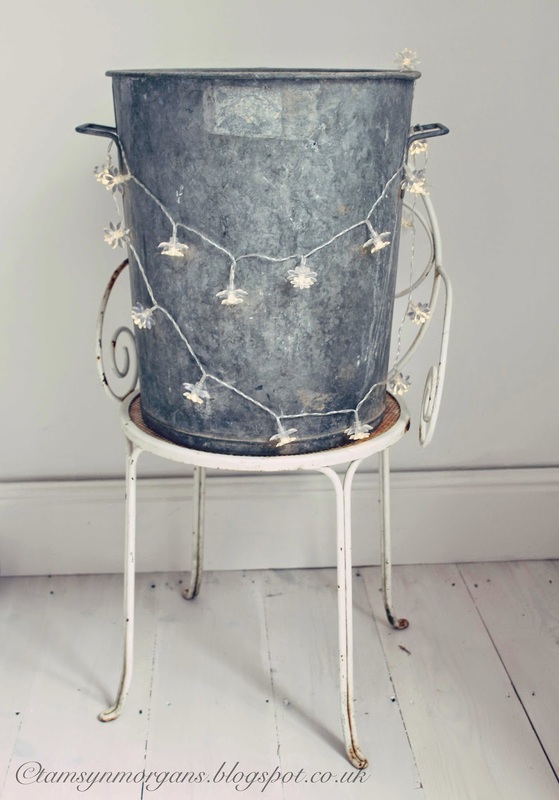 I think it will also look fab with a small/medium christmas tree in it. Love the door knobs. They will go perfectly with your pastel themed home. It's so satisfying incorporating cheap car boot/2nd hand fines into a home, isn't it? !